Like many of you, we here at MyCoolBin also have a great affinity towards customs motorcycles. Over the years, we have shown you lots of stupendous custom motorcycles here on our website. Some of our favorites include Cheyenne Bike by Game Over Cycles and the carved wooden motorcycle by Dmitry Gubenko. 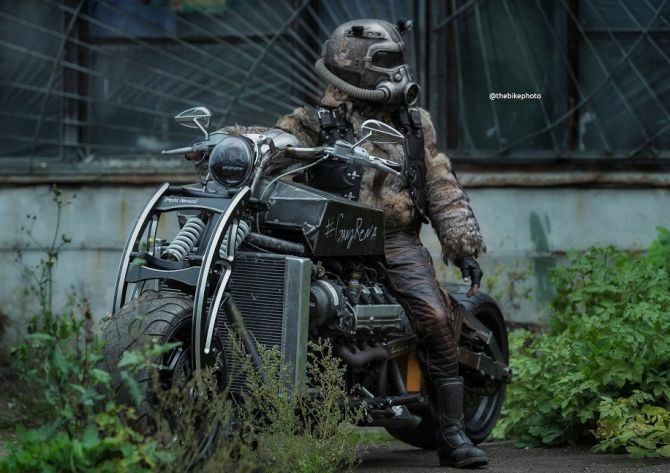 Today also, we are bringing to you a custom motorcycle by a Russian motorcycle fanatic Artem Boldyrev. Christened ‘Gangrene’, the fallout-inspired rat bike boasts a Lexus V8 Engine which delivers massive 300 horsepower. Royal Enfield motorcycles have gained immense popularity in Indian market in the last few years. Especially, the new Classic models of the company have become number one choice of young Indian riders. Yesterday on 25th July 2018, the motorcycle company’s much awaited Royal Enfield Classic 500 Pegasus Edition went on sale. 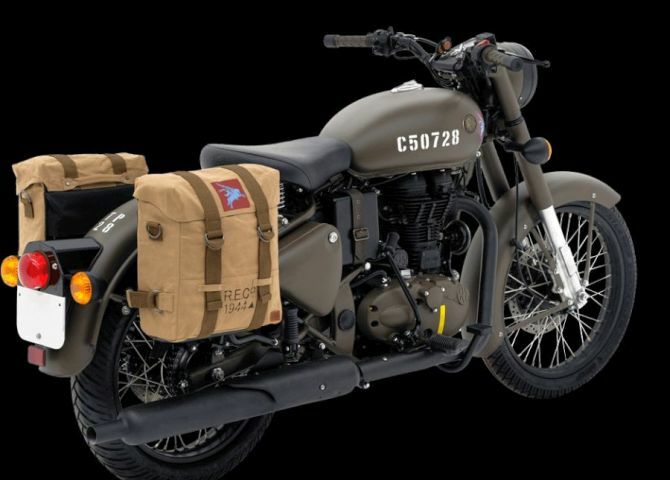 This special edition model limited to just 250 units in India was sold out in just 178 seconds (under 3 minutes) creating new sales record for the company. German inventor Gottlieb Daimler had built the world’s first wooden bike in 1885. 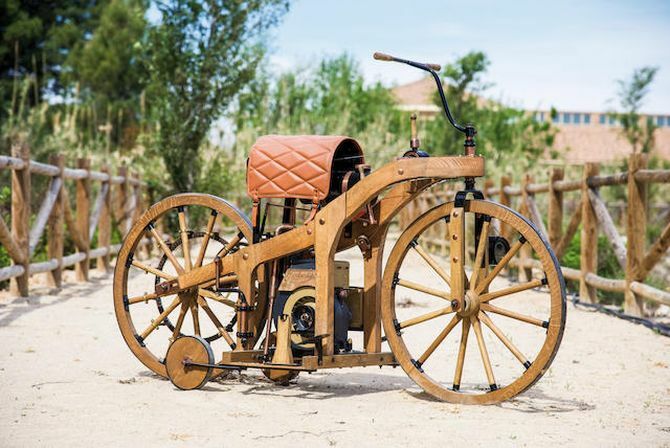 Paying home to the seminal Daimler Reitwagen, the master craftsman, who is not named, is hoping to sell the wooden bike replica at an auction for £15,000. 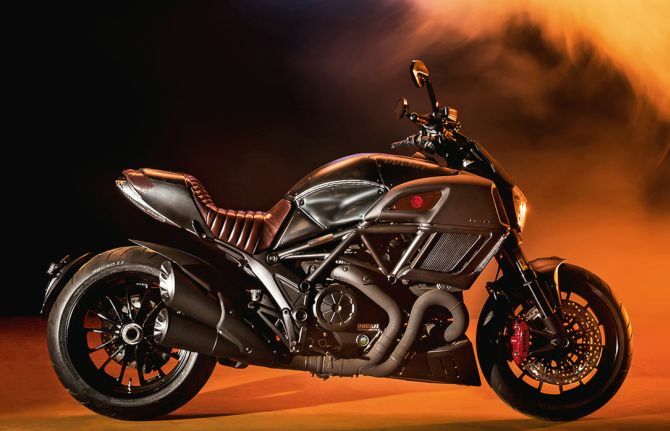 Ducati, Italian Motorcycle Company has teamed up with retail clothing giants Diesel to unveil the limited edition Ducati Diavel Diesel motorbike. Taking their partnership forward after producing the Ducati Monster Diesel bike back in 2012, the two Italian giants are writing a new chapter in their collaboration with this exclusive bike. The super bike was unveiled at the Milan Men’s Fashion Week and will make its worldwide debut at the Motor Bike Expo in Verona on 20-22 January. 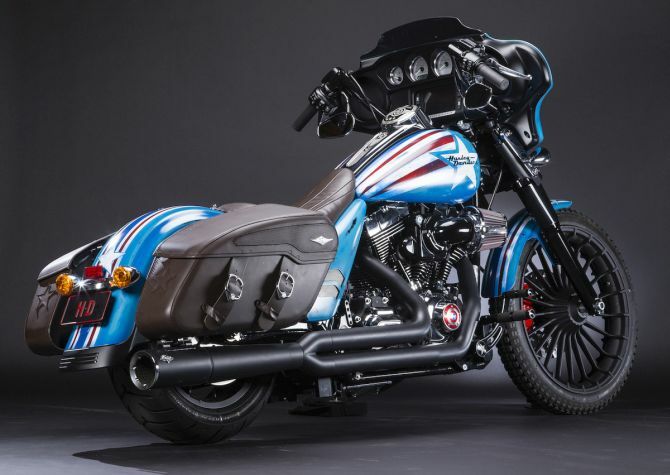 We have shown you some pretty cool custom bikes designed by Harley-Davidson here at MyCoolBin. The American motorcycle manufacturer has collaborated with various renowned brands to create some cool custom motorcycles in the past. Well, their latest venture can be considered as the most unique and exciting, especially for superhero fans. The motorcycle brand has teamed with Marvel, American publisher of comic books to build a collection of superhero and supervillain inspired motorcycles. Named the Super Hero Customs, the motorcycles are based on Marvel’s most admired characters with Harley’s most iconic models. From 3D printed guitars to 3D printed bikes, 3D printing technology is taking the world by storm. 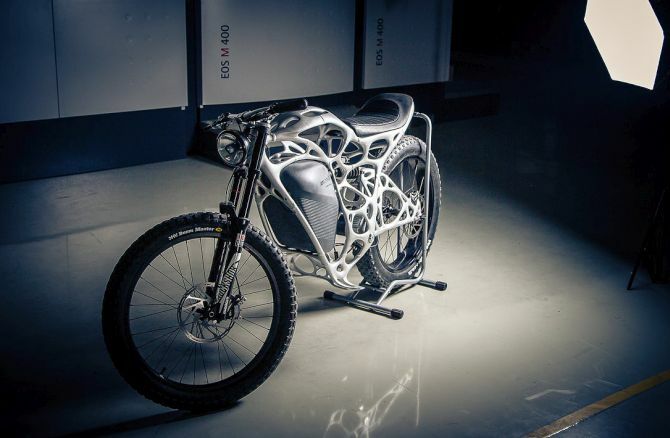 But that’s not all, now brace yourself for the world’s first 3D printed motorcycle called Light Rider. Created by Airbus subsidiary APWorks, the Light Rider looks like an electric bicycle and supported by web-shaped aluminum structure. As the name indicates, body of the electric motorcycle is lightweight and weighs just 35 kilograms (77 pounds), which is much less than its potential rider. We love powerful, robust and masculine motorcycles, but what if a bike comes with the power of a sports car? Well, the result will surely be like Lazareth LM847 motorcycle. 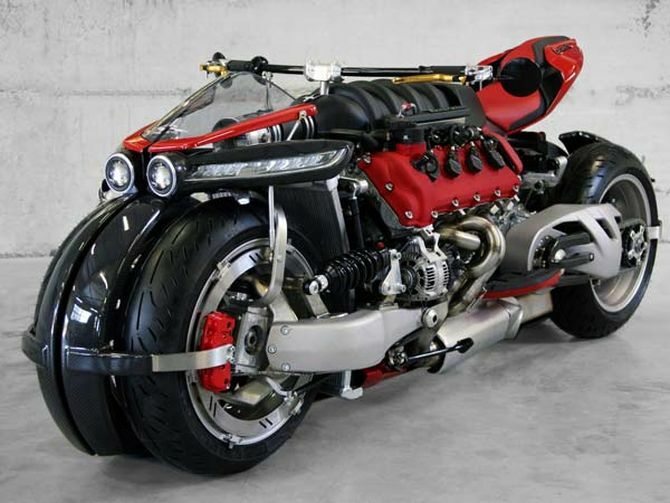 French bike makers Lazareth have created the crazy LM847 bike that’s powered by a 4.7-liter V8 engine from Maserati. The beast has been recently unveiled by the company at Geneva Motor Show 2016. People often have lot of spoons in their house, some are used daily but rest of them keep lying in drawers or cabinets unattended for years. 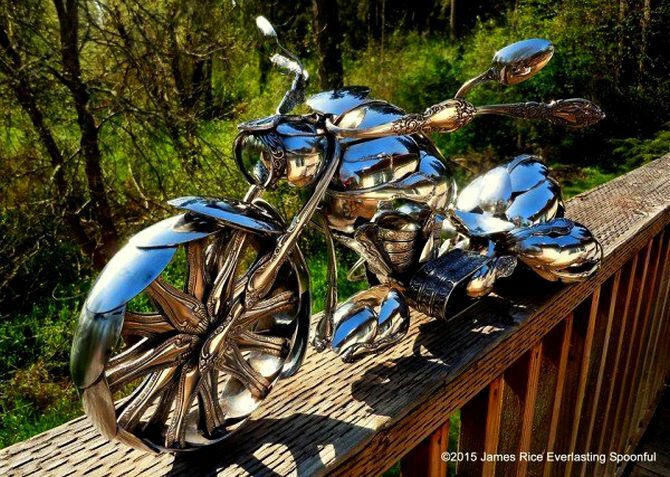 American artist James Rice reshapes such unused spoons into intricate motorcycles, which have brought his art a lot of attention from the internet. His latest creation is the award-winning Bagger motorcycle that’s completely handmade out of stainless steel, just like his other automotive creations. Bajaj Auto Limited, Indian two-wheeler and three-wheeler manufacturing company, has given a new life to disassembled INS Vikrant aircraft carrier in form of the brand new Bajaj V motorcycle. This 150-cc commuter segment motorcycle is built from scrap metal of India’s first aircraft carrier INS Vikrant. 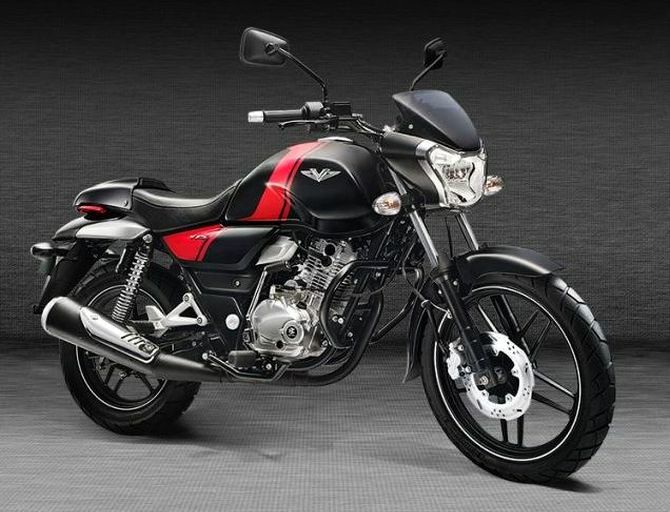 It offers 25-percent more torque as compared to some of the leading names in the 125-cc segment. So, it would be a profitable deal to invest your money on this powerful, suave motorcycle. To celebrate its 150th birthday in style, Jack Daniel’s have teamed up with Indian Motorcycle, American’s first motorcycle company to create one of a kind custom motorcycle. The collector’s edition bike commemorates the 150th anniversary of Jack Daniel Distillery which was registered back in 1866. This partnership honors two America’s most iconic brands that share a mutual commitment to independence, originality and American craftsmanship. 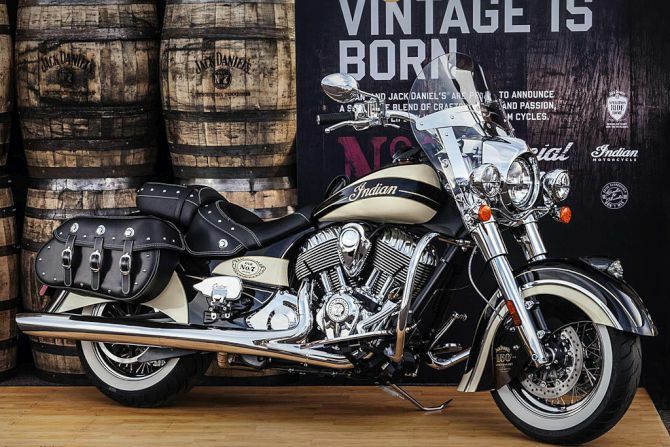 The 2016 Limited Edition Jack Daniel’s Indian Chief Vintage motorcycle is currently on display at the Barrett-Jackson Scottsdale Collector Car Auction till 31st January.